No doubt you will have seen a tablet computer somewhere recently, even if only one of the many Apple iPad adverts on TV. A shift in the approach to computing has seen manufacturers creating a slew of tablet devices in order to grab a slice of the action before Apple take the whole market themselves. 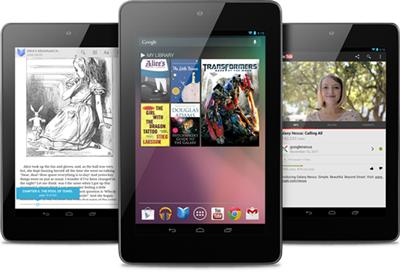 Currently the iPad rules, with a 68% worldwide market share, but Blackberry’s PlayBook, the Samsung Galaxy Tab and the brand new Google Nexus 7 are each competing for attention. Tablets for business promise to improve efficiency and change the way in which employees access, create and work with information, in the office, on the road or even at home. Originally billed as devices designed for consumption of videos, web pages and ebooks, the creation of sophisticated apps has broadened the appeal of tablets, earning them a place within the corporate firewall. The “use anywhere” nature of business tablets means employees can be more productive and efficient more of the time. Site surveyors can use a 3G-enabled tablet to view mapping information, or even render architectural models over the landscape using cutting edge augmented reality apps. Doctors in America are now using iPads to track patient records and medical images, speeding diagnosis and increasing overall efficiency on ward rounds. The England football team’s sports physios use iPads to provide touchline penalty advice and video playback to their goalkeepers. Any business which has mobile workers can increase efficiency by providing an interface through which data capture can be completed in situ, doing away with the need to manually collate data before entering it into the relevant system upon return to the office. Need to capture client requirements in a site visit? Punch them straight into your web-based CRM system using your tablet. All data will be more accurate and ready for immediate action without the risk of details being lost in transit. Tablet use in business looks set to increase with the release of specialized apps, designed to further enhance productivity and connect with mission-critical systems. The imminent release of Microsoft’s own business tablet device, the Slate, will make traditional desktop applications such as Microsoft Office available anywhere anytime, further widening the potential business user base. Over time, the use of tablets to improve efficiency should provide a significant return on investment – of particular interest to finance directors concerned about the cost of iPads. 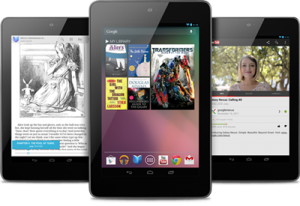 The new Google Nexus 7 however provides similar portability and capability for as little as £159, proving that tablets for business are nowhere near as expensive as was once the case. Simple to use, portable and always-on, business tablets are changing the way businesses operate, capture and manipulate data. If you are interested in how tablets could improve efficiency for your business, why not give Bytewire a call today on 01621 85 66 28.